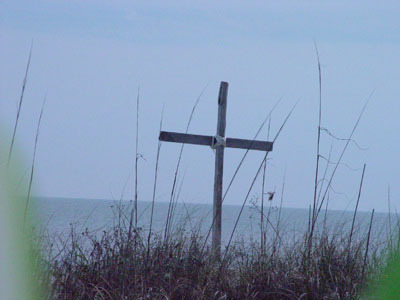 Today is “Good Friday”… I am in mourning today. I was introduced to the concept of “Bad Friday” a number of months ago, and have decided to adopt it. Instead of having a Good Friday service, where we celebrate Jesus resurrection, Mars Hill Church had a ‘Bad Friday’ service – a day of mourning, real sadness and rawness and emotion, leaving the tension unresolved until the Easter Sunday service, when they blow the roof off with praise! How much more powerful would it make Easter feel to me or you? I like crookedshores’ thoughts on the subject. i remember the scene in “The Passion of the Christ” where the tear drops were literally falling from Heaven when Jesus died. .
i read ‘crookedshores’ thoughts and yours from a few months ago. Thanx, Emma for your reverent focus today. I just cannot bring myself to read a book. Time for you Emma to quote yourself instead of relying on second hand opinions. seek the sourse of original thought to give you a thought that is not second hand. I love that! Once someone tried to explain good Friday to me when i was young and I looked up at them with the most puzzled look on my face. I just could not figure out why this day would be deemed “good”. I agree… bad Friday is much more suitable!